It seems impossible to visit every country in the world, yet a handful of people on our planet can proudly say they’ve accomplished this. Talk about the 1 percent. In fact, when I was researching this story, I found fewer than 20 people who have visited all 196 sovereign nations. The good majority have set foot on every nation within the past five years (which makes sense considering how easy it is to get around with modern aviation). Recently, a 27-year-old American traveler became the first female to visit all countries, and she did it in less than two years (and Instagrammed her journey). Before she broke the world record for being the fastest person to do this, a typical journey around the world could take up to a decade. She used her “social media” status to get free flights from airlines and hotels (traveling the entire world can cost as much as $200,000, so she wouldn't have been able to do it otherwise). If you look at some of the other travelers, their mission was to visit all countries in a short period of time for the fame and glory, as well as break records. (Note: while these 1 percenters have visited all sovereign states and nations, they haven’t been to all the world’s territories defined by the Traveler’s Century Club, which would bring the total to 325 countries to visit.). 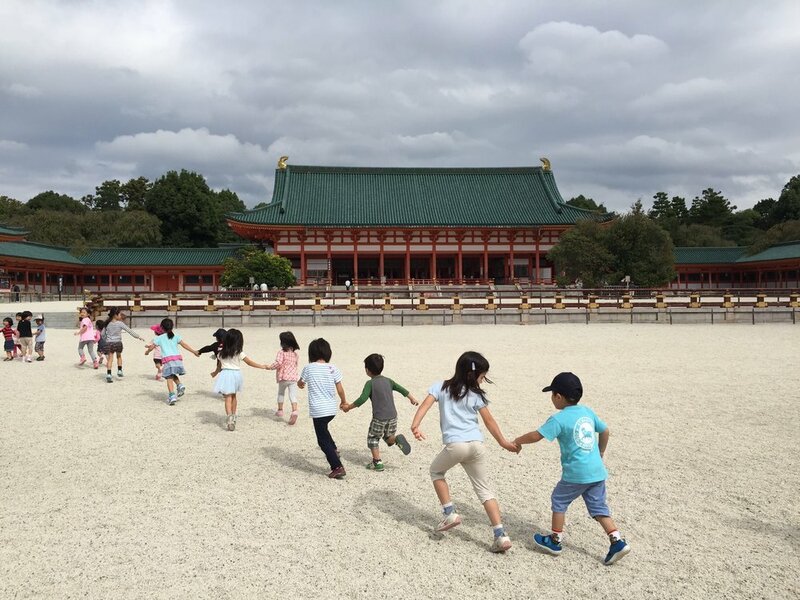 That time I spent time with school kids in Kyoto, Japan. I’ve traveled to 113 countries (I started my career in 2002). Many people ask me why I don't try to visit all nations considering I'm so close to the finish line. It would not only make me the first Asian to visit all nations (world record breaker! ), but I could one day tell my kids I visited every country on our world map. The only problem is that I have no desire to visit every country—and this is why. 1. When you have a goal to visit every country, you’re not really traveling. Travelers who want to visit every country in the world get in the mindset of ticking off numbers, and the ones who have traveled to every country have only scratched the surface of the destinations. To me, that's not really traveling. You're not experiencing the destination, you're just taking a photo or video to prove you've been there. Also, I can assure you that after traveling non-stop for even two months, you reach a point of exhaustion. This only makes you want to rush through your trip to complete your goal, thus you’ll spend even less time in a destination. Let’s take South America as an example. You’ll obviously have to go to Chile to mark it off your list. You’ll see Santiago and possibly Valparaiso, which is an hour away by car. This means you miss out on some of the best parts of Chile, like Patagonia down south, Easter Island or the Atacama Desert, which has the clearest skies in the world. I have made 5 visits to Chile to fully explore the country, and four of those times could have been used to visit El Salvador or Bolivia, countries I have not visited yet, but I decided to go back to Chile to explore more of what I have not seen because of the connection I made. This is the same for Colombia, which I have visited three separate times (spanning Bogota, Barranquilla, Cartagena and Medellin). When you aim to visit every country in the world, you’re really not experiencing the destination. Discovering a beautiful hotel on a far-flung island in Thailand. 2. I travel to places I really want to see. I’ve had many opportunities to travel to destinations I have yet to explore (like Antarctica, Afghanistan, Iran, Libya) but I have had little desire to go to these places. If I were to choose destinations, they would be places that I would want to visit passionately. Sure, Antarctica is on my list, but it’s not in the top ten (I prefer tropical destinations or places where you can experience culture). Jamaica is a huge tourist destination that’s easy to reach and I’ve had plenty of opportunities to visit, but why would I want to spend time in a country that persecutes the LGBT community, even killing them? A country where the government spends little time cleaning up crime and poverty, and where there are a staggering number of reports of robbery from tourists? I'm sure Jamaica is beautiful, but I don't want to visit or promote this destination until it proves it's part of the 21st century. 3. I want to create memories. I want to visit places I can create long-lasting memories. On my journeys, I want to get to know the local people, experience the culture, explore the dining scene, spend time in a great hotel and, ultimately, learn something about myself. You can't always do this if you're rushing through every country to tick them off your list, and it's quite possibly on the lowest rung of priorities (getting that passport stamp and an Instagram photo for proof are essentially the top priorities for travelers who want to visit every country in the world). Watching a volcano erupt from a helicopter in Big Island, Hawaii. 4. Ironically, visiting every single country is not seeing the world. Let's use the US as an example (the United States counts as one country). In the US alone, there are thousands of amazing cities, dozens of awesome states, incredible beaches, beautiful vineyards, the list goes on. Someone who makes a plan to visit every country in the world will only see a fraction of what exists in our country. This is the same for other countries like, say, France. One could easily spend weeks getting to know the country, from the charming ski town of Chamonix to the glam beaches of St. Tropez, the capital city of Paris to the excellent wine regions like Burgundy. If I made a plan to visit every country in the world, I’d spend little time in France due to my schedule, hence I didn't see anything at all. Sure, there's a lot you could see in a short period of time, like two days, but if you're traveling to check into every country, you're on a strict budget and time constraints. Having a drink in the world's first underwater restaurant in Maldives.